I’m a change strategist and coach specializing in getting the best out of change because in a disruptive world no organisation can afford to rest on previous success. I help clients create their own minimum viable Lean/Agile change process that's simple to get started and iterative to use. And coach them along the way. Together we co-create your own process for change so you'll develop confidence to adapt and flex your approach with congruence and ease. Blending tools, techniques and methods from: change management, project management, neo-behaviourism (how to create habits) LEAN change, Agile, continous improvement (LEAN) as well as programme management. Agility is based on iteration and continuous learning. Together we will help you take steps to co-create change in any organisation. How we do this depends on what you're looking for. 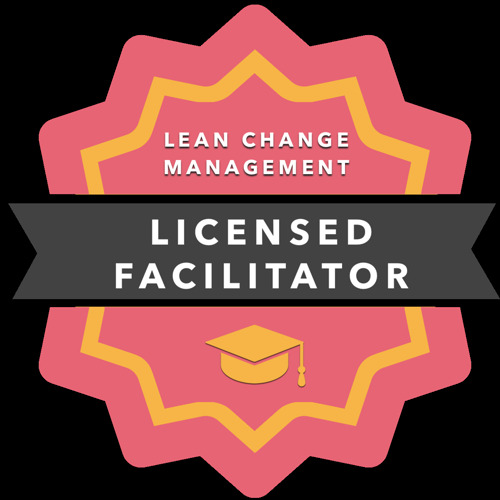 Workshops to get the foundation stones of Lean Change, Mastermind Groups and/or one-to-one coaching to help support your learning and confidence, consulting to share what I know and leave you with some creative approaches to adapt and develop for yourself. Having started my early career in HR, mainly outsourcing people into our organisation, I became comfortable with 'managing' change. I moved into a business improvement role and introduced tools into the organisation similar, if not the same, to 6 Sigma and Lean (the Toyota Way methods and Deming et al). Although we branded our continuous improvement tools as LEARN - Listen, Evaluate, Act, Review, Next Steps. During this period I managed a successful multimillion pound productivity programme which was in effect a turnaround programme. Coaching became my tool of choice and I left corporate work to set up my own coaching and consulting practice in 2005. In August 2012 I relocated from the UK to Perth, Western Australia. I work as an independent Change Strategist and Coach. Ability to take onboard feedback and adapt quickly. Extraordinarily helpful and willing to work through solutions with great tenacity. Very engaging, knowledgeable, inclusive of everyone and constantly asked for feedback to ensure the course was meeting the majority of the groups needs. Charlotte and Ro demonstrated good knowledge of change management. They also listened and actively responded to feedback provided by the participants and shaped their course to focus on key areas people were interested in- well done! They should be very proud that they did that so well. They were both very energetic and knowledgeable. Keen to get the right outcomes for the group. Proactive in pulling together additional information for the 2nd day based on feedback from day 1. The additional reading suggestions was also really helpful. Strong coaching and development backgrounds as well as depth of knowledge.